Pregnancy Changed My Taste for Mustard. The Color and the Condiment. I used to hate mustard. The color and the food. Then when I became pregnant all I wanted to eat was mustard, and apparently it changed my taste for the color as well. Here are some of my favorite mustard finds that I have found at ModCloth. This sweater in my cart right now is an adorable, thick sweater that I am obsessing over. It is perfect for my Pittsburgh Steelers attire. They call this color “Honey” but it looks mustardy to me. This cute skirt is perfect to wear to work, and has autumn written all over it. How cute is this mustard raccoon top? Do you want the mustard color in your outfit, but can’t commit to buying an article of mustard clothing? That’s okay! Pair these cute mustard tights with a cute dress and boots to add a little pop of fall color to your ensemble. Snag this cute mustard and black beaded necklace to add a little mustard to your outfit. Now if mustard is just not your thing, get pregnant and maybe that will change. Kidding! Check out ModCloth for tons of other cute items, mustard or not. Over the last few years graphic tees have really taken off. There are so many inspirational, hilarious or just plain awesome tees that people can choose from. Their name refers to tees about wine (corked) and coffee (brew), and I sure do love both of those. Wine and coffee tees are not all they have though. Some other tees include holiday themed, funny quotes, mom tees, TV themed, sports themed and so much more. Let me tell you why graphic tees are my jam. They allow you to express yourself. Whether it’s your favorite band, TV show, sport, drink, or anything else, these tees allow you to share with the world what you love, or what you want people to know about you. They are a great conversation starter. People love reading graphic tees. Sometimes conversations even start from your shirt. Even just a simple, “OMG your tee is awesome!” while you’re waiting in line is worth the purchase. You will very quickly see who your fellow Game of Thrones fans, Harry Potter nerds, and coffee lovers are. Your graphic tee may even make someone else’s day. 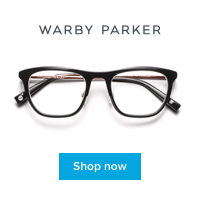 They give you something to wear without thinking about an outfit. If it’s a lazy day at home you can wear a graphic tee with sweatpants. If you’re running errands with your kids, #Momlife graphic tee and jeans it is. According to this shirt they even go with yoga pants. Graphic tees can be worn with everything. Let’s face it. They are comfortable, and that is all there is to it. You are supporting an awesome business. When you buy a graphic tee from a shop you are supporting a small business. They want you to not only be comfortable, but love the message that you decide to spread with the people around you. If I haven’t convinced you yet, checkout CorkedBrew’s page to find the graphic tee that fits you. They have tons of styles and themes to choose from, and I know you will find tons that you love. A huge thank you to CorkedBrew for partnering with me on this post. I absolutely love my graphic tees, and they fit perfectly. All opinions are my own. A few weeks back I stumbled upon a site called Groopdealz. 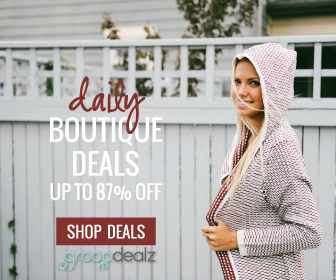 Groopdealz is an online boutique store with tons of adorable things to purchase like clothing, accessories, home decor, jewelry, baby gear, and tons more. They are similar to many other boutiques except for two big reasons. First, they have tons of sales all the time. Pretty much everything is marked down. Deals, deals, DEALZ! Another difference with Groopdealz is that they are what you would call an online daily boutique. 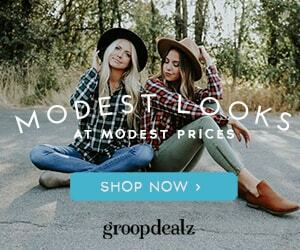 Instead of just being run by one brand or company, Groopdealz has included tons of different sellers onto their site. That’s why you have so much to choose from! This also means that these sellers only have a limited amount of time on the site. Sellers are given a certain amount of days to sell and promote their product, but after that it is taken down. I bought this fleece that was originally $54.00 for only $34.99, and let me tell you it is worth every penny. 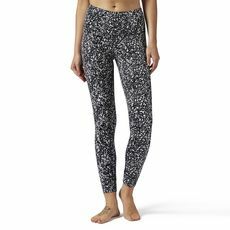 It is so amazingly soft, and perfect for fall and winter. I had the opportunity to choose what thread I wanted to use to get it monogrammed as well, and I love how it turned out. HERE’S THE THING… if you’re interested in buying it, you have to act now! The other day I went online to show my friend this fleece that I had purchased. I was going to send her the link, but it wasn’t there! I searched Groopdealz page by page, and it just wasn’t there. I figured I was lucky to get it while I could because it was already gone. WELL GUESS WHAT, when I went back on their site today it was BACK! If you think it’s something you or someone you know would enjoy, get it today. The fleece seems pretty true to size. I typically wear a small, but didn’t want the fleece to be too small so I ordered a medium. If I was to go back and buy another one (hmmm, maybe black now?) then I would order a small because the medium is a little long. One more thing to mention is that I ordered the cream color. In the Groopdealz website picture it looks a little darker than it actually does it person. I love the color in person more than I do online because it’s very light, which is the look I was going for. This would make a great monogrammed Christmas gift for someone who likes to be comfy cozy. Maybe even a little Christmas gift for yourself! I also purchased this extremely comfortable V-neck tee from Groopdealz that fits so perfectly. I went back to order another and they were gone, but you know I’ll keep checking back to all their cute clothing just incase! Don’t forget to snag that fleece today before it’s gone. You won’t regret it! You guys, it’s October! That means that Halloween is about one month away. Every year I go through the same process of figuring out what to be for Halloween. I can never decide, and I search all throughout Pinterest and Instagram. I put it off until Halloween reaches, and I still end up Amazon priming a silly unicorn onesie. I’ve thought of an interesting idea. Instead of purchasing a whole costume, it would be nice to buy something that I can use as a costume once, but still continue to wear in my normal, non-Halloween life the other 364 days of the year. For example, this orange dress I wore to a wedding was my inspiration. Someone at the wedding told me it reminded them of Esmerelda from The Hunchback of Notre Dame, so that’s exactly what I may use it as if I don’t end up buying one of these other lovely dresses. I found more than 2000 styles of fashion women’s dresses at Dresslily! Bandage, club, bodycon, chiffon, vintage, lace, bohemian dresses etc. Which is your favorite for a Halloween costume? Here are a few ideas I’ve come up with. There are many different options for Minnie Mouse! They have so many adorable red and white polka dot dresses. Belle from Beauty and the Beast? Look how perfect this inexpensive yellow dress would be. Have your husband go as Batman, and you can be Batgirl in this perfect black and yellow dress. You could totally be the only lumberjack at the party in this red and black flannel looking dress. Remember the Queen of Hearts from Alice in Wonderland? This red and black dress would be a perfect costume. Betty Boop is the cutest. You could rock this red vintage dress to look like her. Madeline is the sweetest little cartoon girl. All you need to do is find a yellow hat to pair with this navy blue and white dress and your costume is complete. The poodle skirt Halloween costume is a classic that never goes out of style. Rock it with this adorable white and purple dress. Have a costume that has something to do with music? This fabulous dress with music notes on it would be perfect. This is not even the start of all their amazing dress ideas. Check out their website and let me know your favorites. Comment back with your creative Halloween costume ideas, and which one you think I should choose! The weekends always go way too fast! I had the best weekend with my daughter visiting with alpaca. Margot loves animals so it’s always fun to introduce her to new ones. In all honesty this was the first time I had ever seen an alpaca myself, and they are 100% my new favorite animal. They are adorable! Sometimes I feel like the only way I can show my daughter our amazing world is by traveling to new places with her, when in reality there are so many local activities that we can do in our own backyard. From taking her to see alpaca, spending time at our local lake, or just by hiking through nearby trails and campgrounds there are so many things to do that are just seconds away from our small city. Stay tuned for more local adventures with me and my mini!